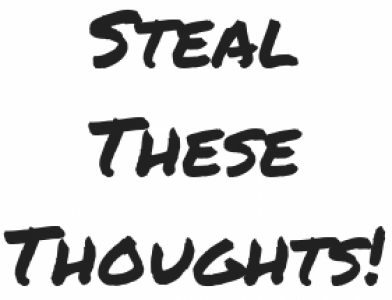 Writing – Page 2 – Steal These Thoughts! I’ve had several conversations of late around change, the effect it can have on one’s life and why it’s an evolutionary necessity to reach your potential. Many of these conversations have focused around the fear of change, the uncertainty it brings and the opportunity for failure or embarrassment if it all goes wrong. It made me think about what embracing change, moving forward and why respecting this is part of life is so important in reaching new levels. You see if we always resist change, not only do we deny ourselves the opportunity to explore what could be, we also stop being true to ourselves. Are these the skills everyone needs in the 21st century? Over the last 10 years since Apple unveiled the first iPhone to the world, we have experienced major digital disruptions across all industries. It’s like a Pandora’s box of opportunities has been opened and the world has been changing at a breakneck speed ever since. It struck me as I had been thinking about the capabilities of learning teams and how many people are actually keeping their own skills up to date, embracing continuous learning and actually practising what we preach to everyone else.